“Let me see your ring!” is often the first thing a couple hears when they announce their engagement—and in most cases, that ring showcases a diamond. 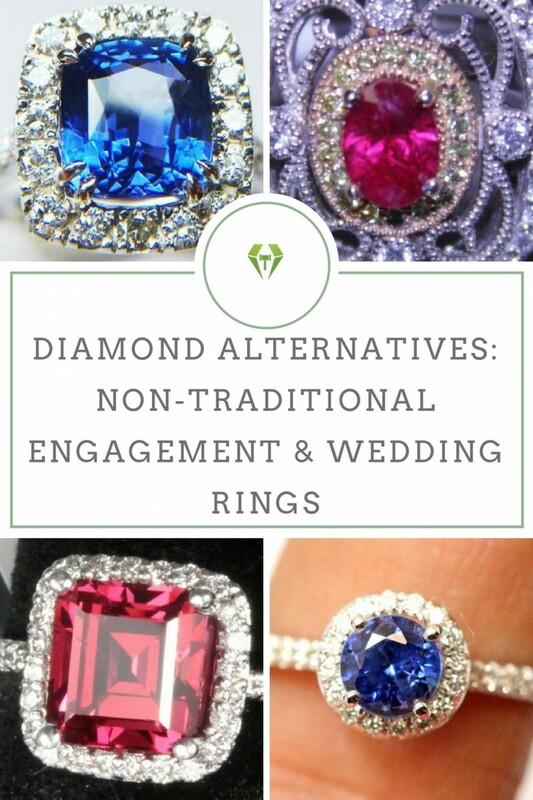 Although diamonds have been the traditional choice for many years, couples are starting to opt for gemstones more often for a number of reasons. 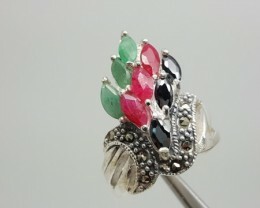 Gemstones are not only more affordable than diamonds, but also offer a wider range of choices in shape and color. Ethical and environmental considerations may be an additional motif for opting for a diamond alternative. 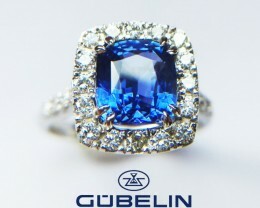 If you are a picking out a ring for your loved one and are looking for something that is unique, consider getting a ring adorned with the ideal gemstone before you pop the question. Back in the 1400s, diamond engagement rings were only available and affordable to the extremely wealthy. The De Beers company changed the exclusivity of the diamond engagement ring when they employed a new marketing campaign in the 1930s. After conducting a survey, De Beers discovered that people associated diamonds with long-term commitment and lasting romance, which De Beers emphasized in their ads—and that is how diamond engagement rings became the modern standard. 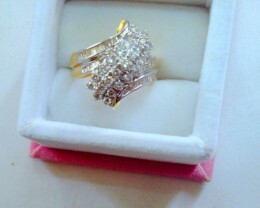 Budget will define the kind of ring you wish to buy. Diamonds are currently one of the most expensive gemstones on the planet which is primarily due to their brilliance and durability. Many factors that will affect the actual price of the diamond, but an average cost more than $12,000 per carat. 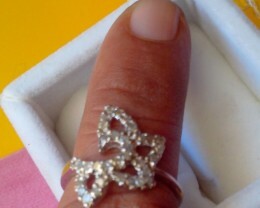 Diamond prices are determined by carat, clarity, color, and cut, known industry-wide as the four Cs. Gemstone prices are based on the carat or weight, and the rarity of the stone. As a rule of thumb, gemstones will almost always be less expensive than diamonds; however, there are equally expensive gemstones available around the world. Hardness and durability are important factors for selecting a gemstone for a wedding and engagement ring because they are worn every day, which exposes the gem to risk of damage. While diamonds rank as 10, the highest rating on the Mohs scale of mineral hardness, and are popular because of said hardness and durability, they aren’t the only option. There are other gemstones that are equally durable for everyday use. At the top of the Mohs scale along with diamonds rank rubies, sapphires, aquamarines, emeralds, spinels, and more. Clarity is less of a consideration in colored gemstones compared to diamonds. 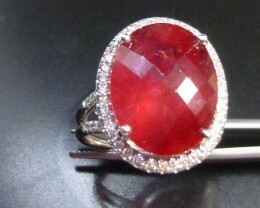 When selecting a colored gemstone, the most important thing to note is if the color is the shade you like. 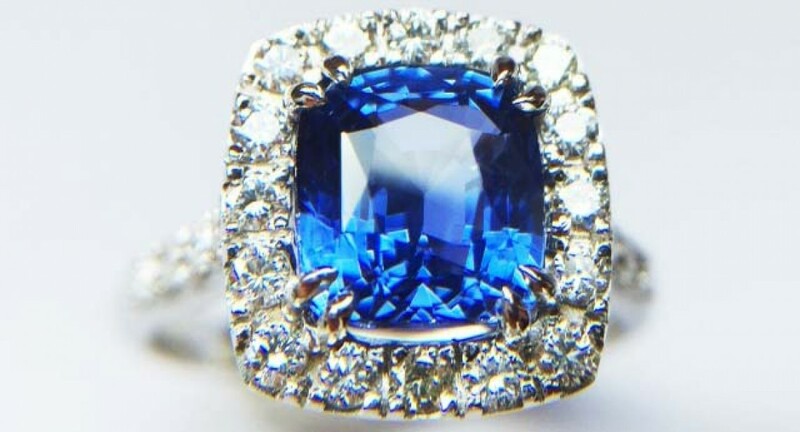 With a hardness of 9 out of 10 on the Mohs scale and sparkling in almost every color of the rainbow, a sapphire is the most popular gemstone to be used in rings. Traditionally, blue sapphires from Sri Lanka and Kashmir have been highly prized, but Austrian sapphires have been growing in popularity, especially due to their more exotic colors like green and yellow. At the end of 2016, the US government lifted a ban on importing Burmese rubies and jade, making it a widely available gem. Ruby ranks 9 out of 10 on the Mohs hardness scale, making it a gemstone that can worn everyday without fear of it getting easily damaged. 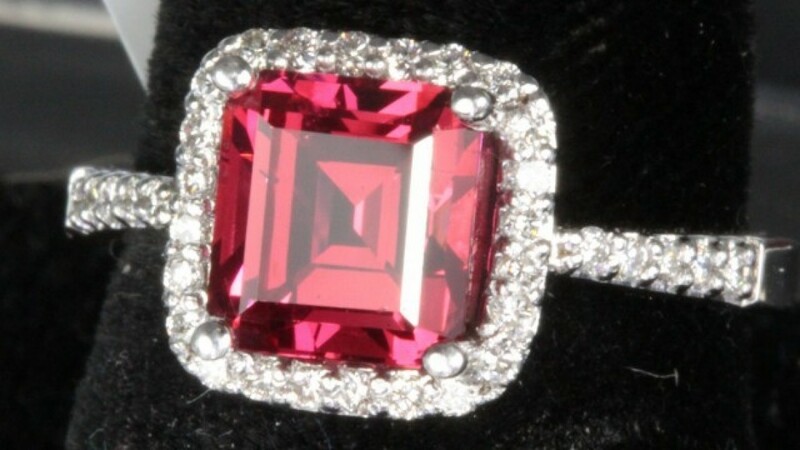 In terms of color, a ruby that is pure red without any hint of pink or purple is going to be very costly, while more affordable rubies will have a slight pinkish tone. Also, rubies don’t have to be for just engagement or wedding rings: Did you know ruby is traditionally the 40th wedding anniversary gemstone? 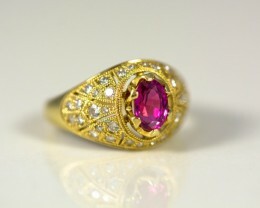 Popular since the early 2000s, spinel is a new gemstone that is very durable, coming in at 8 out of 10 on the Mohs scale. 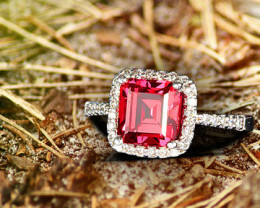 Spinel is found alongside rubies and come from many locations around the world. 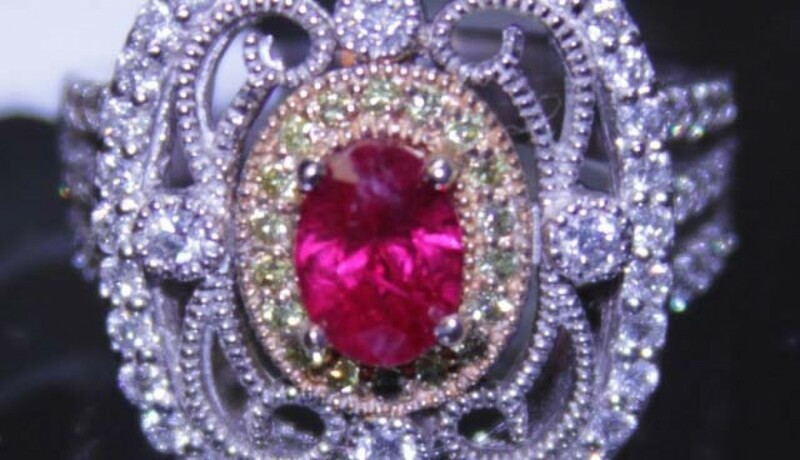 The most striking spinels come from Burma, Tanzania, and Tajikistan. 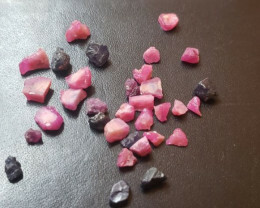 When it comes to color, know that the red spinels from Burma can rival the intensity of a red ruby; however, the pink spinels from Tanzania and Tajikistan are rising in popularity. As most gemstones come in a range of shades, so experts say you should fall in love with a color, not a gem. Choosing a gemstone for your engagement ring offers endless options to find something to match your unique love and style, so discover the right gemstone to make your engagement ring something to treasure for a lifetime.